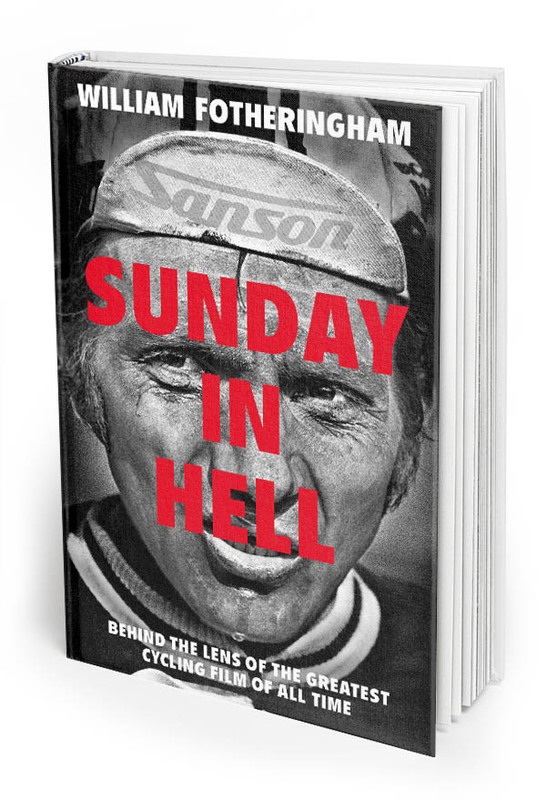 A Sunday in Hell is widely viewed as the greatest cycle racing film ever made. This book delves behind the camera to find out how director Jorgen Leth made this masterpiece, what became of the star riders, and what remains of the locations. In 1976 a little-known Danish film maker, Jorgen Leth, embarked on an ambitious project to capture the spirit of cycling’s toughest and cruellest Classic, Paris-Roubaix, in a new and epic way. Leth planned to show every moment of significance during the day, to portray its heroes – Roger de Vlaeminck, Eddy Merckx, Freddy Maertens – as mythical figures, and to use radical techniques such as the helicopter mounted Wescam. This is, if you like, my biography of the film – how it was conceived, how it was made, what happened on the day, who took those dramatic images and wrote that epic soundtrack, and what became of those larger than life figures.